Prof Luiz DaSilva, newly elected Fellow of IEEE. 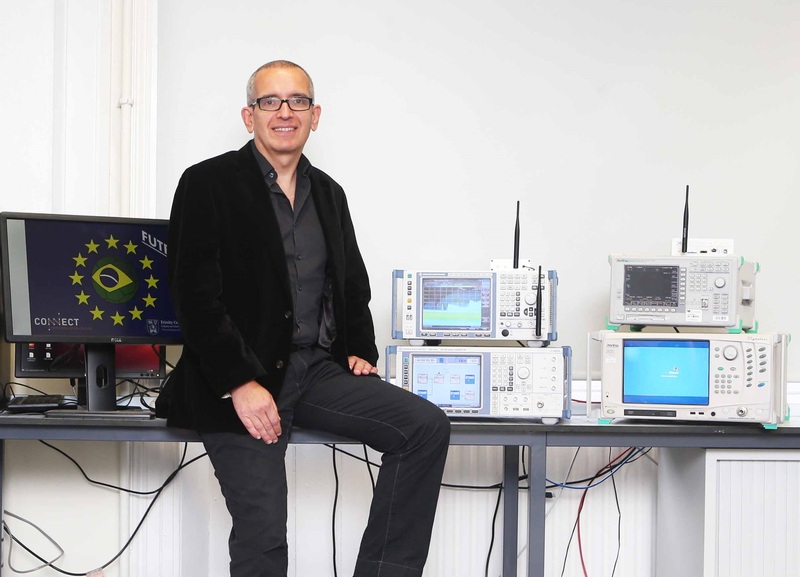 CONNECT’s Luiz DaSilva, Professor of Telecommunications in the School of Engineering at Trinity College Dublin, has been named as a Fellow of the Institute of Electrical and Electronics Engineers (IEEE), the world’s largest and most prestigious professional association for the advancement of technology. Professor DaSilva received the honour in recognition of “contributions to cognitive networks and resource management for wireless networks”. IEEE Fellowship is conferred each year on individuals with an outstanding record of accomplishment in an IEEE field of interest. It is a rare honour with only one-tenth of one per cent of the organisation’s total voting membership receiving the accolade annually. Professor DaSilva is a principal investigator on several world-class telecommunications research projects funded by the National Science Foundation in the United States, Science Foundation Ireland (SFI), and the European Commission’s Horizon 2020 and Framework Programme 7. He is a co-applicant of CONNECT, the Science Foundation Ireland (SFI) research centre, and holds a Principal Investigator grant from SFI. Previously, Prof. DaSilva was a tenured Professor in the Bradley Department of Electrical and Computer Engineering at Virginia Tech, in the US. He has also worked at IBM in Brazil. Prof. DaSilva is recognized as one of the world’s leading experts on cognitive networks and the application of game theory to resource management problems in wireless networks. His early work on telecommunications analysis using game theory, dating back to the mid-1990s, paved the way for its application as a major mathematical tool applied to the analysis of radio resource management, and he authored the first book on the topic. Both areas that Prof. DaSilva pioneered are today well established tracks of wireless communications research and practice. He is currently working on a new architecture for virtual wireless networks orchestrated from resources belonging to heterogeneous technologies and multiple stakeholders. Professor DaSilva’s research combines theoretical modelling of network resource planning and usage with hands-on testbed implementation of dynamic resource management solutions. He has co-authored two books on wireless communications and is an IEEE Communications Society Distinguished Lecturer. IEEE has over 400,000 members in more than 160 countries and is a leading authority on a wide range of areas from aerospace systems, computers and telecommunications to biomedical engineering, electric power and consumer electronics. IEEE Fellow is the highest grade of membership. Dedicated to the advancement of technology, the IEEE publishes 30 per cent of the world’s literature in the electrical and electronics engineering and computer science fields, and has developed more than 900 active industry standards. The organisation also sponsors or co-sponsors nearly 400 international technical conferences each year.